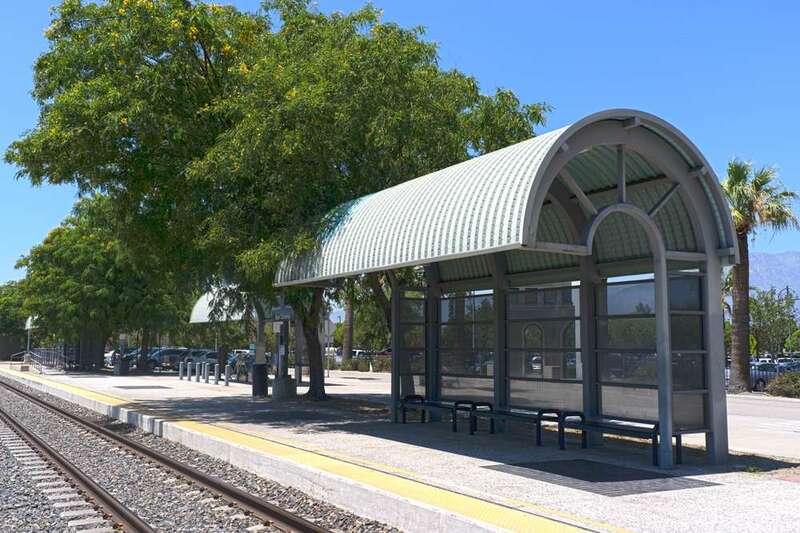 East Ontario Metrolink Station is a business providing services in the field of Train station, Transit station, . 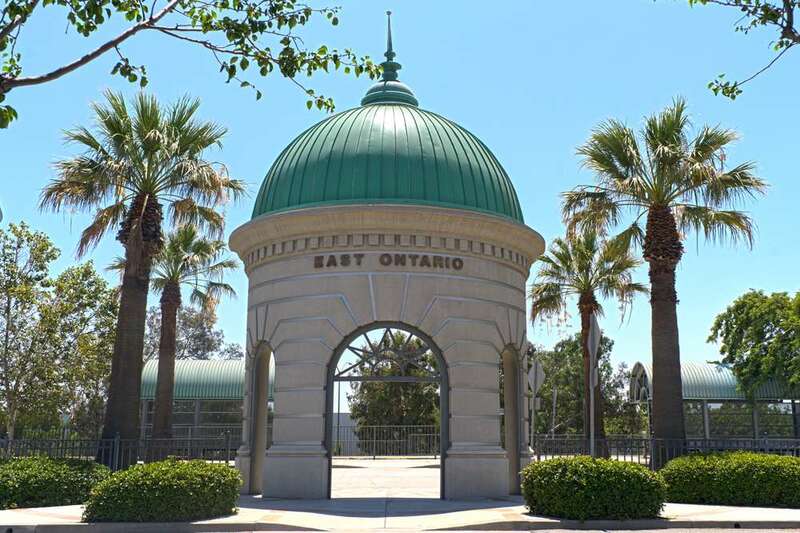 The business is located in Ontario, CA 91761, USA. 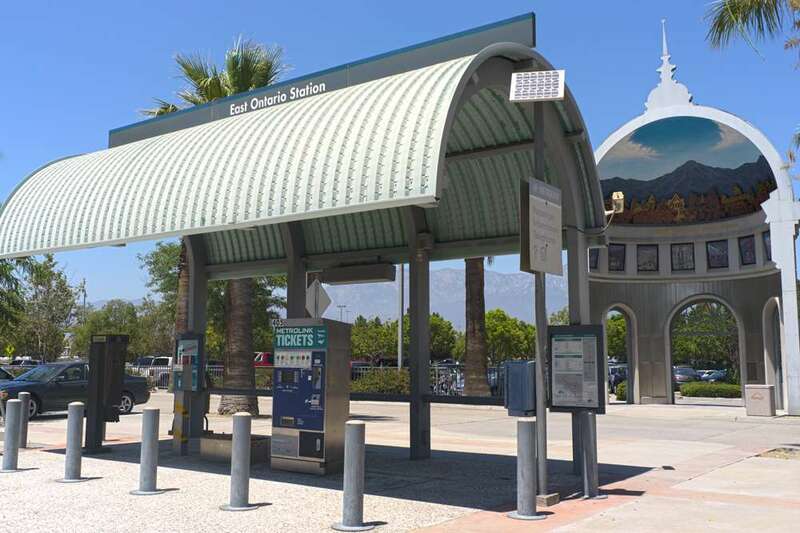 East Ontario Metrolink Station is located in San Bernardino County of California state. . You can get more information from their website. 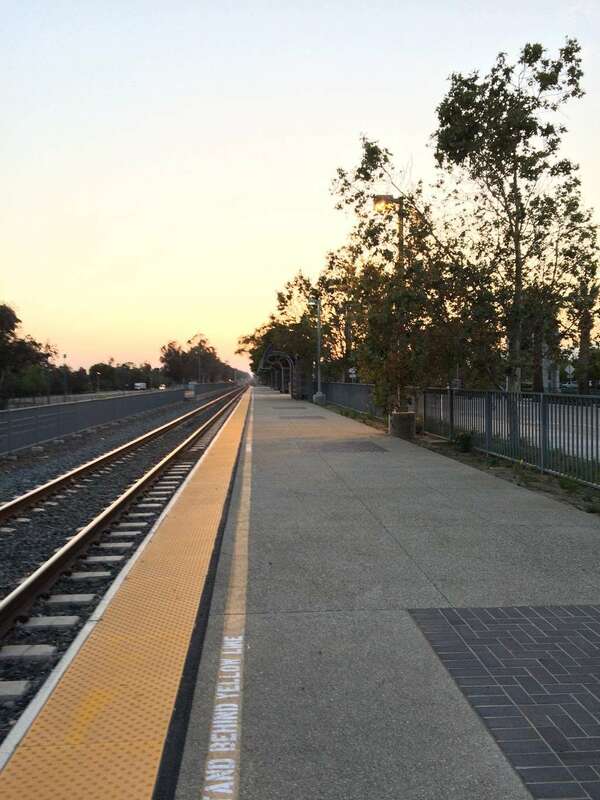 Easy to get to the airport, trains just need to run at more convenient hours! Nothing around there. Needs a coffee shop or something. Also, slanted parking spaces don’t actually add more spaces, just more time to parking. 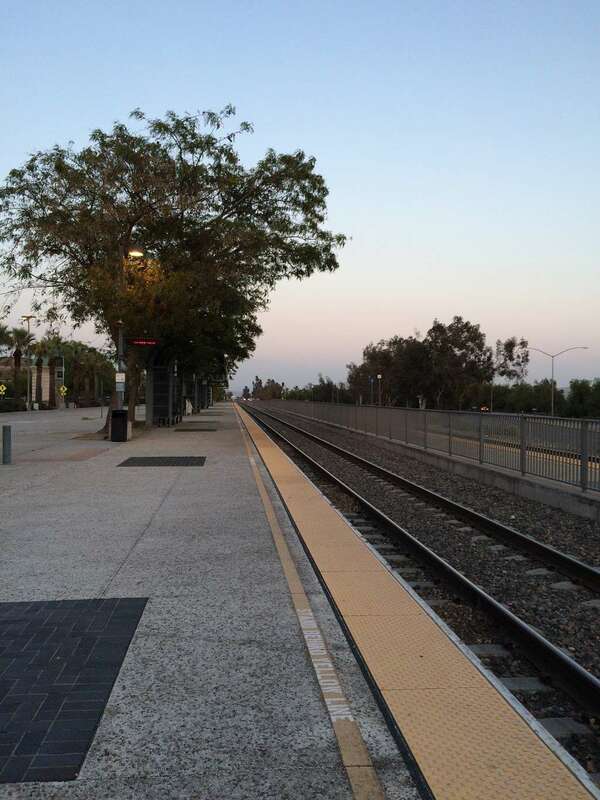 Today boarded Metrolink 403 & no lights were on the parking lot & platform, the entire facility was dark. A safety concern at the very least. Also, there is no public restrooms & the train status public address is inaudible & very little to no use. The city owned & maintained facility receives minimal landscape maintenance. There is a significant burrowing rodent infestation that is ignored. Years of rodent damage is evident throughout the facility. Free, safe parking. 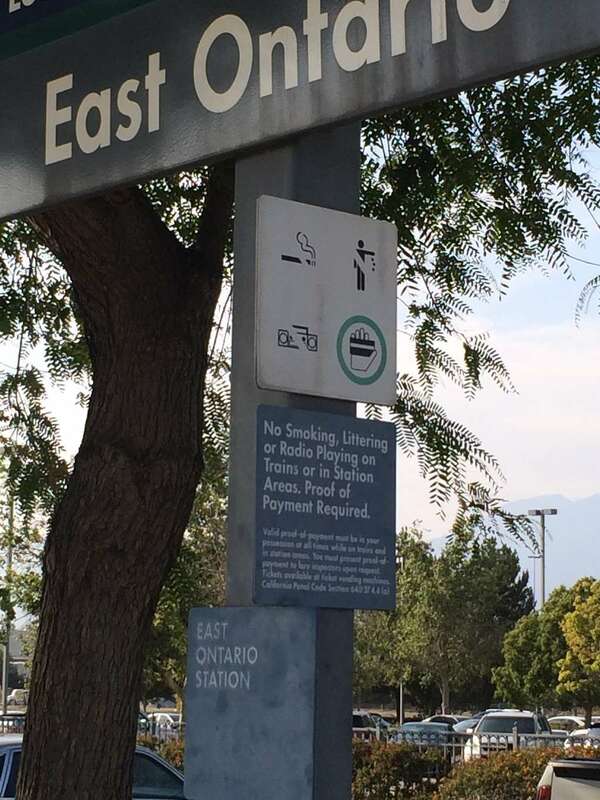 During metrolink operating hours there is a security guard that keeps an eye on the parking lot. The ticket vending machine doesn't always work, but the train conductors are understanding. Parking lot is clean and thankfully - free to use. 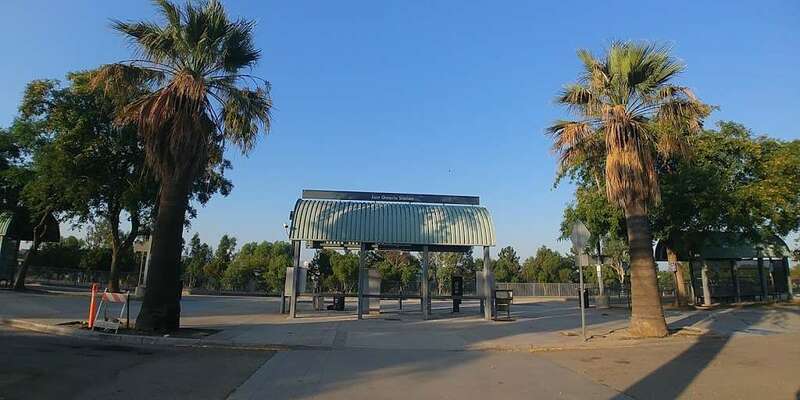 Not all metrolink stations have free parking so I appreciate this one. Very industrial area so you don't have a lot of kids walking around like you do at the pedley station.